We arrived in Honnigsvag about 11:00 am this morning. 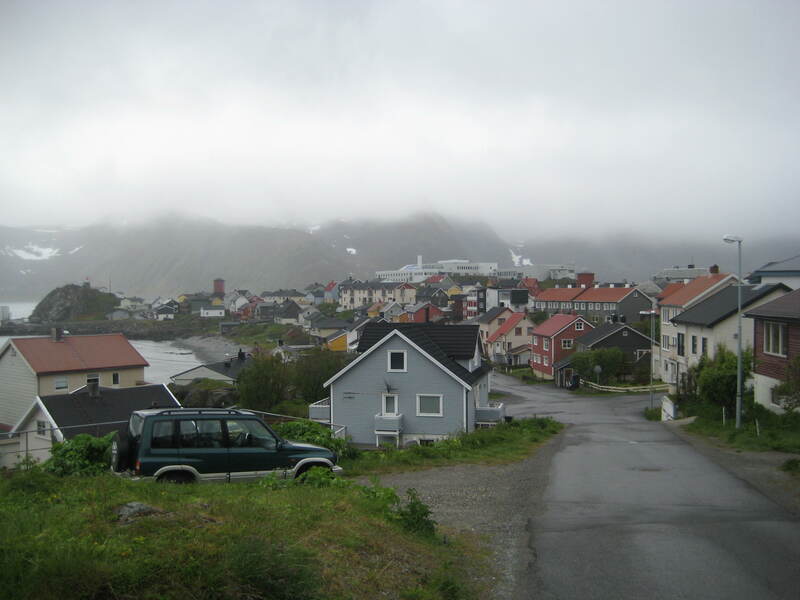 Honningsvag is located at the northern most part of Norway and has a population of 2,500. The city thrives on its fishing industry, which is aided by the ice-free Barents Sea. 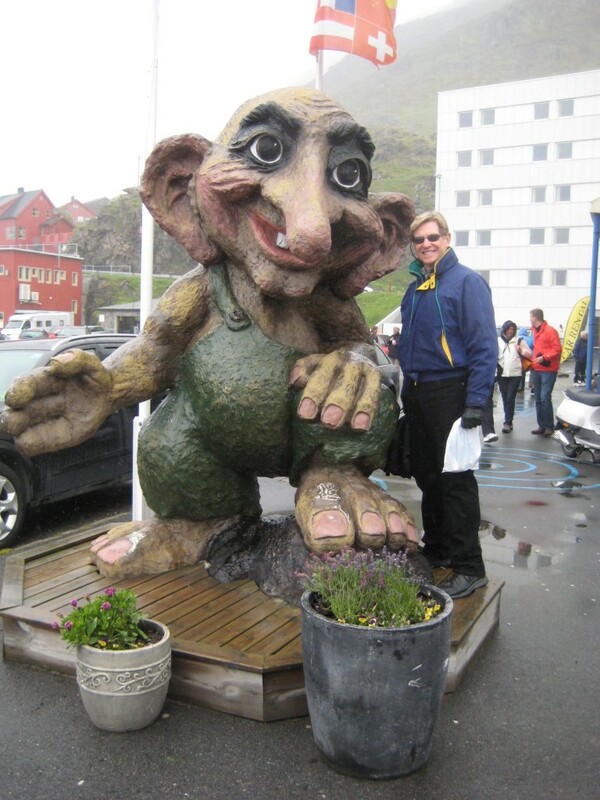 From Honningsvag you can take a forty-five minute drive to the North Cape that is the northernmost point of Europe. 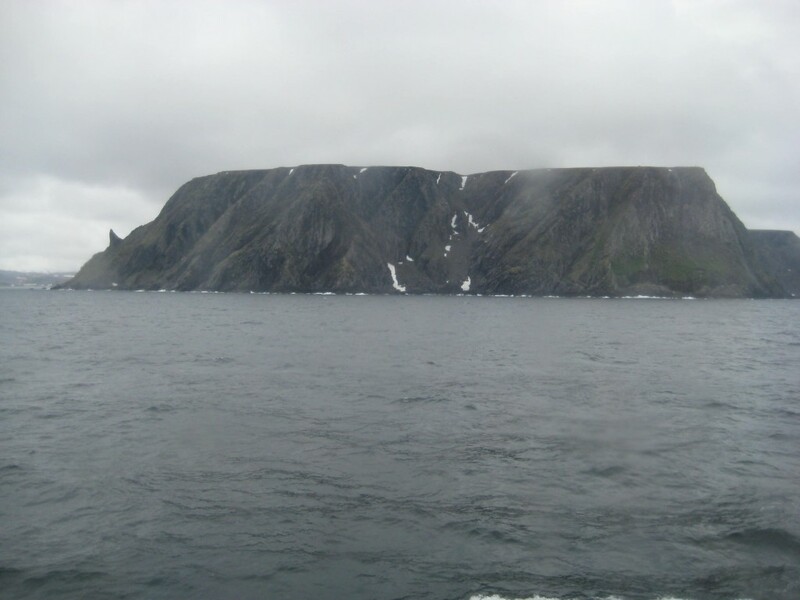 The cape has a 1,000-foot cliff overlooking the Arctic Ocean. The weather was not very nice with cloudy skies and intermittent rain throughout the day, not to mention the cold temperature and wind. We chose not to take this trip, but several of our friends did. They returned somewhat disappointed. We wandered the small town, but being a Sunday most of the shops were closed. A few large gift shops were open to accommodate the four cruise ships that were in port. The homes here were mostly constructed of wood painted in bright colors dotting the hillsides. There was a short downtown business district with a few shops, a library, a church, a cemetery and a market. More unusual was the large sports complex with both indoors and outdoors soccer fields. 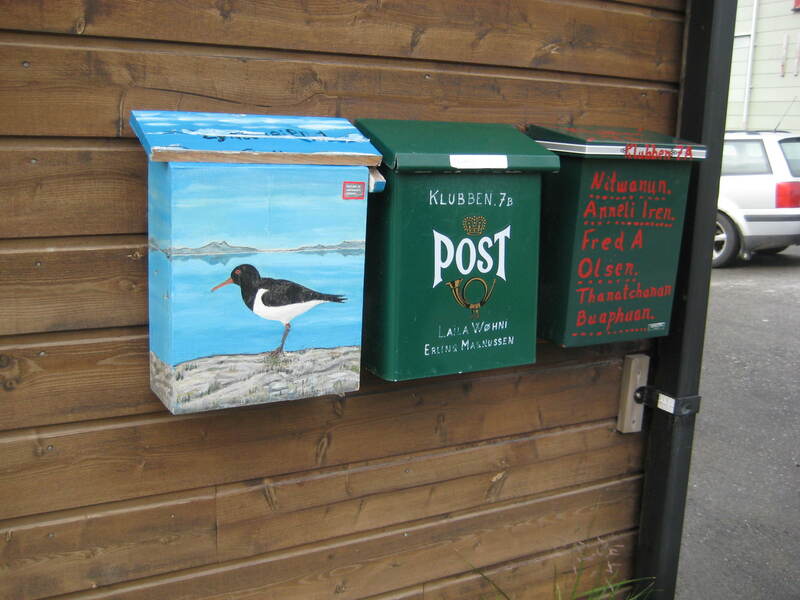 We were amused with the large mailboxes on all the houses. Being that the ship was docked in port until early the next morning, there was not the usual entertainment. On this night they had a special Nordic Jazz and Food Festival onboard where they served a Smorgasbord of Scandinavian snacks like smoked fish, salads, and desserts. After the food festival they invited guests to move to the Crow’s Nest lounge to see the midnight sun while listening to classical music, sipping Gluwein and eating cheese fondue. Unfortunately the sun was not visible through the cloudy skies.